Click here to see KKCR Playlists on Spinitron. Playlists include links to purchase music with helps support Kauaʻi Community Radio. All KKCR programs, including music, are archived for two weeks after the air date. Click here to enjoy any KKCR program you may have missed on Radio Free America. Purchase much needed items for KKCR! 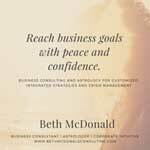 We'd love to get your feedback on our Mission Statement. The survey takes just a few minutes. Your answers will help in developing our Strategic Plan which guides the Kekahu Foundation and KKCR. Click here to take the KKCR MISSION REVIEW SURVEY. KKCR supports the preservation, perpetuation and celebration of the Hawaiian culture and encourages members of the Hawaiian community to get involved by becoming part of the KKCR `ohana. The station actively seeks volunteers to enhance and diversify its Hawaiian programming, including social, political, musical and cultural affairs. Anyone interested should contact KKCR to learn more about volunteer training and station policies, including codes of conduct and federal FCC guidelines. Feel free to complete our Volunteer Application located here. You may also get a Volunteer Application at KKCR. KKCR is committed to providing a welcoming, safe, supportive and respectful environment for all volunteers, staff and visitors. In the summer of 1997, KKCR broadcast its first signals island-wide. Our small community-based, non-profit radio station connects all the remote communities on the isolated Garden Island. KKCR is committed to providing relevant, accurate, timely information during times of crisis. It's also dedicated to representing the unique character of our island community. 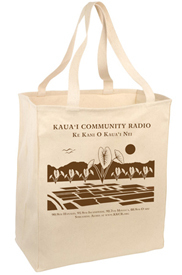 KKCR's program schedule reflects the broad, rich spectrum of Kauaʻi's community. 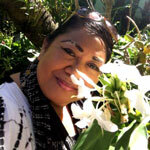 Musical genres include vintage and contemporary Hawaiian, Jazz, Alternative, Reggae, World, Classical, Rock and Blues. Kauaʻi Live features in-studio performances from local and visiting artists on Sunday evenings. The Community Affairs programming includes weekly call-in talk shows - a Hawaiian Entertainment Calendar and a Community Calendar. Special interest programs include gardening, pets, health and wellness programs. As a commercial-free, non-profit entity, KKCR's survival depends on support from our community - local and global. Please join KKCR's `ohana (family). To support listener-powered community radio, please click here. with Holo Holo Charters and KKCR!! with some of your favorite KKCR DJs & a Special Presentation by Kumu Hula Kahaulani Kekua. Discounted rates! A portion of the proceeds to benefit KKCR! Seats are limited! CALL (808) 335-0815 and be sure to mention KKCR to book your reservation today! Holo Holo Charters' premiere trip aboard Holo Holo begins with a continental breakfast as we head west & north to the majestic Nāpali Coast with waterfalls, lush valleys, and sea caves. After sightseeing, hearing the history of the Nāpali Coast, and a presentation by Kumu Hula Kēhaulani Kekua, we will head across the channel to the "Forbidden Island" of Ni'ihau. When we arrive at Ni'ihau we'll choose our snorkel spot. Their caring crew will assist and instruct you in snorkeling—relax, float, and watch the comings and goings of the aquatic world. No other place in Hawaii offers you such unique formations, and no other company provides you with the opportunity to see Ni'ihau and Lehua. Ni'ihau's old age means it has been shaped and carved by ocean currents and waves the longest of all the Hawaiian Islands. Holo Holo Charters' pride themselves on creating fun and memorable ocean adventures for thier guests. Your safety is their top priority; therefore, all tour routes, destinations and snorkeling activities are dependent on ocean and weather conditions. 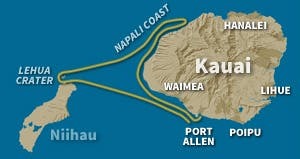 Conditions around Kauai can change quickly, so our expert captains are constantly analyzing and may wait until check-in time to determine the best route for the day. If that occurs you will have the opportunity to go on the altered tour, reschedule to another day, or cancel your tour at no charge if it is weather related. If you have any questions or concerns, please call them at 808-335-0815 so they can help create the best experience for you and your family! - Lehua Crater, Ni'ihau's North Shore, the Nāpali Coast, marine life, and more! Holo Holo is Kauai's fastest tour vessel. At 65, this agile power cat is long and wide enough to give you a swift, adventurous ride even at her top speeds. She'll get you to the Nāpali Coast or Ni'ihau faster than anyone else! She can carry 65, but we keep the numbers to 49 or less, which means more room to sightsee, snorkel, relax and enjoy all that Kauai has to offer. Built with safety and comfort in mind, Holo Holo's design is wide enough to eliminate any long, side-to-side rolling motion and the hulls are narrow to slice easily through the water, resulting in a smooth ride. And Holo Holo was designed and built specifically to handle the channel waters that separate the islands. 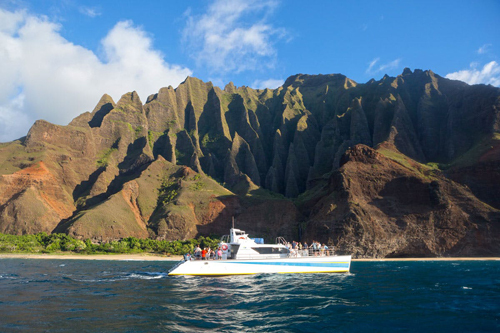 With twin 450hp turbo diesels for propulsion, we get you to the beautiful sights of Nāpali and Ni'ihau faster than any other vessel. Discounted rate with a portion of the proceeds going to KKCR! Seats are limited! CALL (808) 335-0815 and be sure to mention KKCR to book your reservation today! DURING KKCR's 2019 WINTER FUN DRIVE!!! We surpassed our ambitious $80,000 Goal! GRAND PRIZE DRAWING WINNER SCOTT F. IN KANEOHE!!!!! a custom Surf Board shaped by Droid! EARLY BIRD DRAWING WINNER RAVEIS KOLE!!! & Mahalo Nui Loa to aFeinberg Galleries for donating the prize, Adieu! 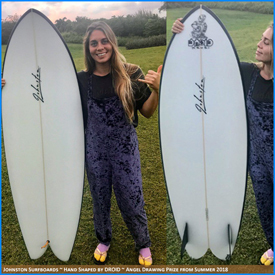 MAHALO NUI TO JOHNSTON'S SURFBOARDS!! 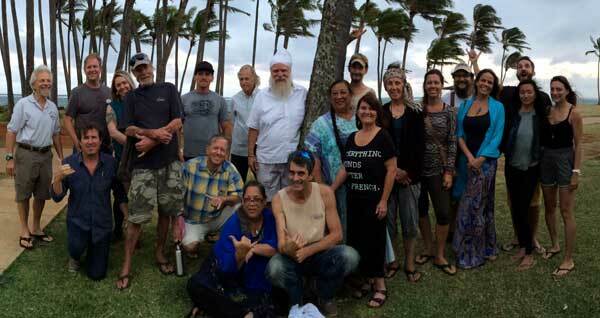 MAHALO NUI TO KKCR's WINTER FUN DRIVE WAVERIDERS! Please support these businesses that support KKCR! 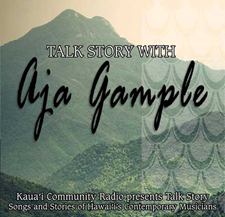 NEW TALK STORY with the new face of Hawaiian music and Na Hōkū Hanohano Award Finalist, AJA GAMPLE! Available with all donations of $35 or more. Donate today!! I've been such a dedicated fan of KKCR for years! As the only radio station on Kauaʻi that offers live Hawaiian music programming daily, it is a huge gift offering to kamaʻāina and malihini alike here and around the world! Over the years, I sometimes wondered what it'd be like if I had a show of my own. But it was never a really serious thought. …Well, until just a couple of months ago! Honestly, it still seems a bit surreal. But everyone has been tremendously supportive, and I am so deeply grateful, humbled and honored to be a part of the KKCR ʻOhana! I am a keiki o ka ʻaina, a native Hawaiian child born and raised in Anahola, Kauaʻi. As the hiapo or firstborn, I was reared in the tradition of hānai – freely given to be raised and groomed in hula by my maternal grandmother. I was brought up in a very Hawaiian household with both my grandparents, my parents and my siblings. But it was my kūpuna, mostly my grandmother, who took the lead in raising and nurturing me. My late grandmother, Helen Kaipuwai Kekua Waiau was a hula master, descended from generations of kumu hula here on Kauaʻi. She established her hula school In 1945, and taught hula throughout her lifetime. Upon her passing, I inherited the role and responsibilities of kumu hula. Today, I have the privilege of serving as the kumu hula of Hālau Palaihiwa O Kaipuwai. I share this, because it was my upbringing in hula that has shaped my life. And through the kuleana and practices of the hālau, hula nurtures and strengthens my love for my birthsands and the culture of Hawaiʻi nei. More than two decades ago, while researching and writing curriculum for a Hawaiian hospitality and cultural training project, I came across an ʻŌlelo Noʻeau, an ancient Hawaiian proverb and poetical saying: ʻELIʻELI KŪLANA ʻO ʻĀINAʻIKE. Translated, it means, "Profound is the nature of ʻĀinaʻike". This saying refers to a person respected for the depth of his/her knowledge. There's a play on the words ʻELIʻELI which means "deep or profound" and ʻĀinaʻike which literally means, "Land of Knowledge". I was blown away by that discovery. I'm still inspired by the depth of awareness that Hawaiian ancestral knowledge offers all of us! For many years, I searched high and low for this traditional wahi pana or celebrated place. It no longer appeared on modern-day maps, where treasured Hawaiian place names had succumbed to frivolous monikers or nick-names. And those of my generation and perhaps my own parents' generation had too quickly, forgotten about ʻĀinaʻike. I was determined that I'd find it one day. Well, interestingly enough, I happened across this precious place name in an extensive wind chant for Kauaʻi! It is still a thrill for me today, having discovered that ʻĀinaʻike is an actual place here on Kauaʻi! It's become a favorite mantra for me too. A gentle reminder to never stop learning something new of my island home. It is my hope that I can share gems of ancestral wisdom and the beautiful culture of Hawaiʻi nei through the stories, music, history and more on my show! The repository of Hawaiian chants, dances, music and stories are endless! And the haku mele or music makers, composers and poets of yesteryear, today and the future is a phenomenal gift that blesses all of us everyday! Everything I do is inspired by hula. I am an artist and lover of nature and the forest! I love to create beautiful expressions that bring healing and joy to my heart and to others near and far!. Whether it is hand painting an exquisite silk scarf (my professional life as a designer and artist), choreographing a hula, memorizing an epic chant, or making lei and offerings, life is sweet and precious. And I now have the opportunity to interact and engage with a global audience through the magic of KKCR air waves. Please visit and like my Facebook pages for Studio HAʻA and ʻĀinaʻike on the Air too! Me ke aloha pauʻole. My love and aloha to all of you is endless. I hope you will tune in! KKCR's Community Advisory Board is seeking participants. The Community Advisory Board advises the Kekahu Foundation Board Of Directors on KKCR programming and policies and helps ensure that KKCR fulfills its mission and provides high quality programming to our island community. The Community Advisory Board meets twice yearly. 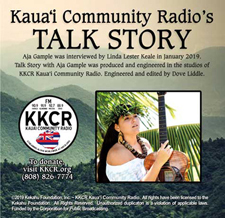 Call (808) 826-7774 and join the Community Advisory Board of KKCR! ʻO KKCR ka hui lekiō kūʻokoʻa no Kauaʻi. He hui lekiō kaiāulu, e paepae ʻia ai e ka lehulehu a e hoʻolele ana me ka hoʻolaha ʻole. He kahua ʻo KKCR no nā leo a me nā mele laha loa pū nō me ka laha ʻole. ʻO ke Kekahu Foundation ka mea e hoʻoholo ai ia mau papahana lekiō. When you become a Sustaining Member your contribution is deducted automatically from the account of your choice every month. All the benefits that come with being a member remain yours to enjoy. You may request a mahalo gift each year at your contribution level and change or cancel your contribution at any time. 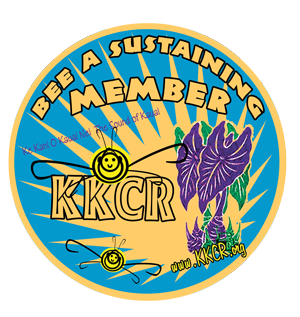 Please go to www.KKCR.org to sign up securely and become a KKCR Sustaining Member. You may call us at (808) 826-7774 to pledge your support at any time. 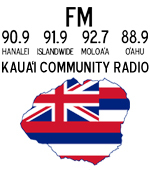 Your support allows us to preserve and expand independent, non-commercial, listener-supported community radio on Kauaʻi. Every day, thousands of listeners tune in to KKCR to be stimulated, educated and entertained by our volunteer programmers. We depend on special individuals who share our belief in the critical importance of KKCR's mission to preserve, perpetuate and celebrate Hawaiian culture, and to reflect the diversity of the local and world community by providing a forum for overlooked, suppressed, or under-represented voices and music. MAHALO FOR YOUR SUPPORT! Pledge your support by becoming a member or renewing your membership. If you would like to become a member of the Kekahu Foundation Board of Directors please download this Application for Candidacy for Director of the Kekahu Foundation. Completed Petitions and Applications must be addressed to the Kekahu Foundation Election Committee and received at KKCR, 4250 D Hanalei Plantation Road, Princeville HI, 96722 or PO Box 825, Hanalei HI 96714. Please express your gratitude and support to our underwriters which, along with listeners like you, help make KKCR programs possible.